Meet in the airport and transfer to hotel. Breakfast. 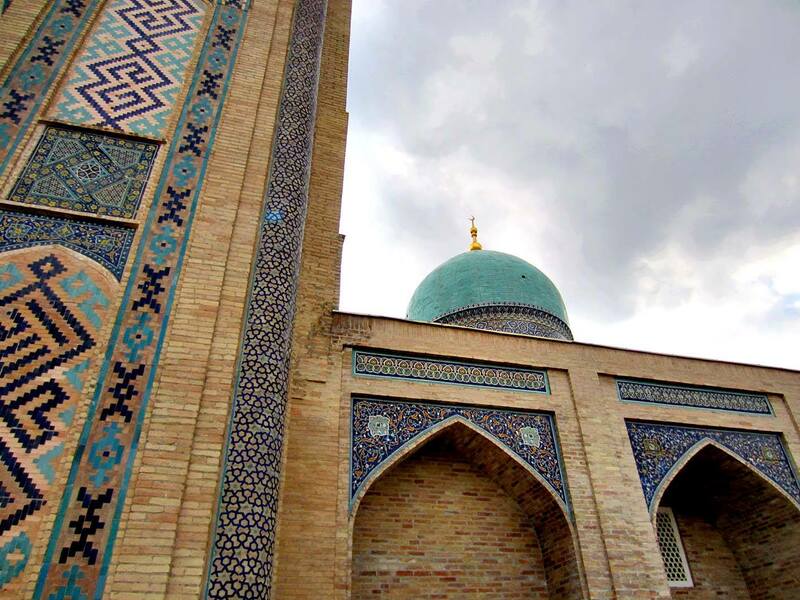 Sightseeing the Dushanbe city: Dushanbe is the capital and largest city of Tajikistan. 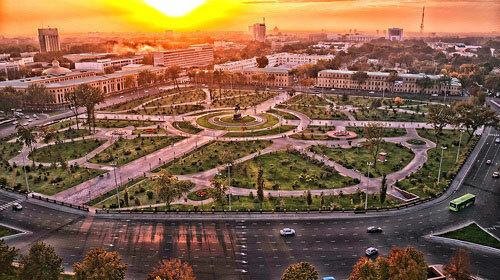 Dushanbe means "Monday" in Tajik (Persian language), and the name reflects the fact that the city grew on the site of a village that originally was a popular Monday marketplace. Situated at the confluence of two rivers, Varzob and Kofarnihon. 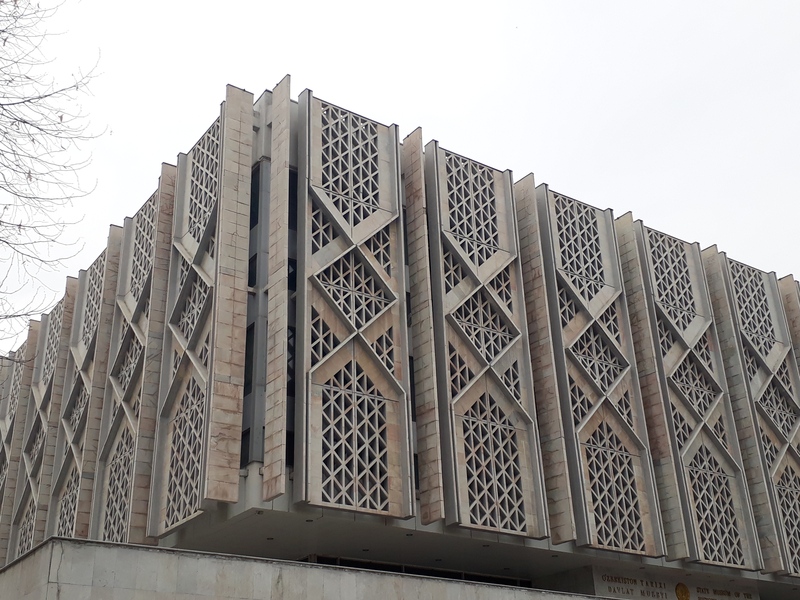 Tajikistan United Museum – includes the exhibits on history, natural history and art, Museum of ethnography – professional showcase of 20th centure Tajik art. The collection includes pottery, carpets, cloaks, embroidery, jeweler, musical instruments, woodwork and more. Sleeping Budda. 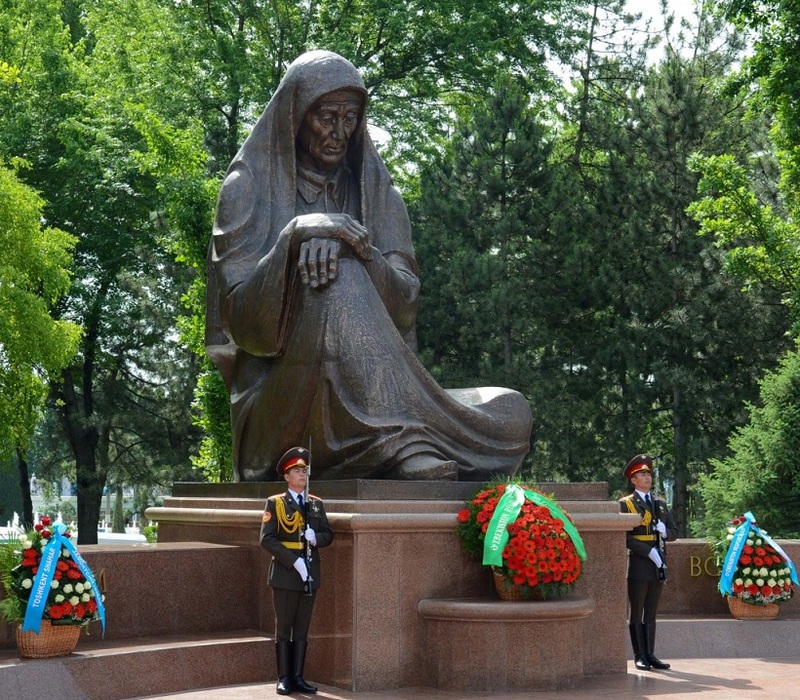 Monument Somoni and park Rudaki. Lunch in local restoran. Drive to Kalai Khum. This region adheres more strongly to Muslim traditions and this can be seen in the conservative dress and beards. 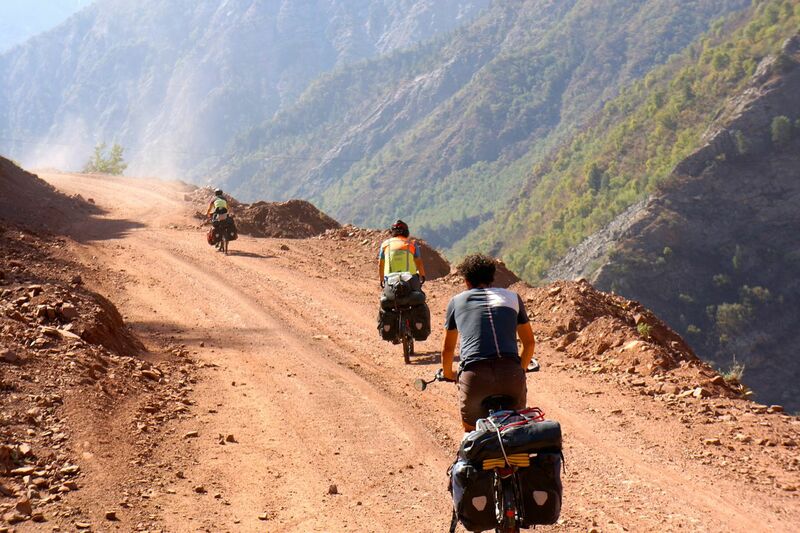 Over a mountain pass to Kalaikhum the scenery and people change again. 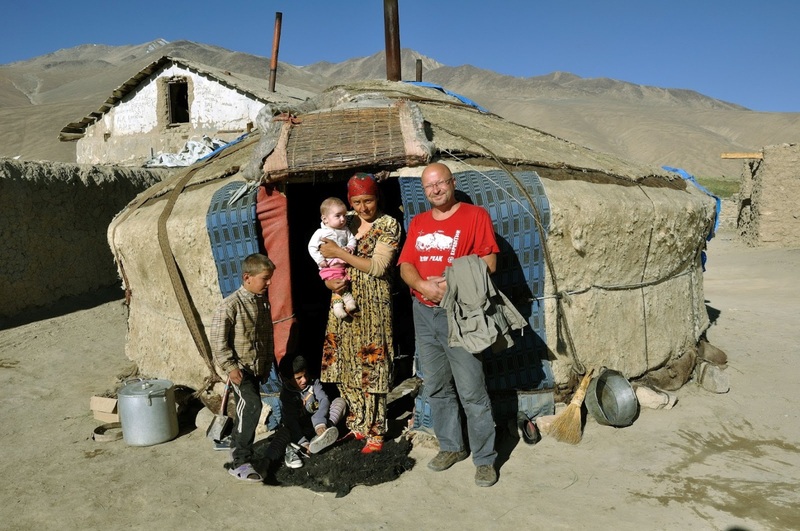 Here the people are Pamiris, not Tajiks, a number of separate tribal groups with their own languages. Overnight in guesthouse. Breakfast. Drive to Khorоg. 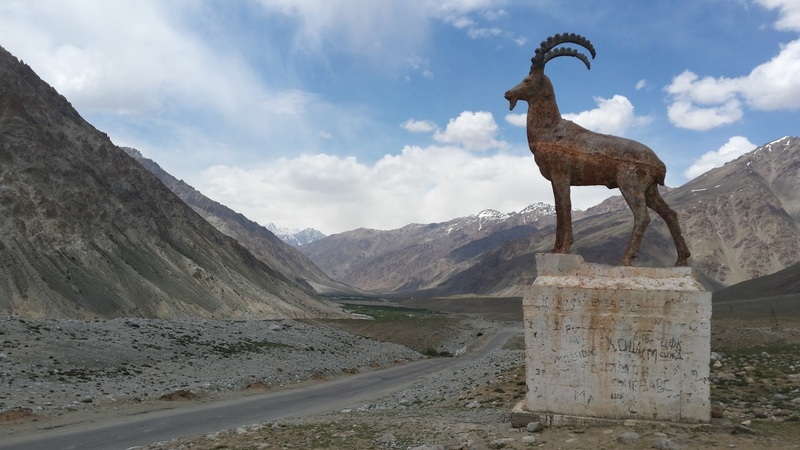 Follow the fascinating road along the Afghan border. On the Tajik side, the road is asphalted and buildings have metal and glass in their construction. On the Afghan side, about 100m away, everything is mud, wood and donkey tracks. Khorog is the capital of Gorno-Badakshan oblast (since 1925). It is a comparatively small city. Before the revolution there were only two villages (kishlaks). They were connected by mountain paths. The valley in these places is very narrow, so city consists of one street. It is surrounded with gardens. Its green costume is made of apple, apricot and mulberry trees. Next to Khorog on a hill is a Pamir botanical garden. Plants, trees and bushes almost from all countries of the world are gathered there. Khorog has a small but beautiful park with a lake and a stadium. Long time ago the people of this area were completely illiterate. During the Soviet period dozens of schools, libraries, technical schools, colleges began to appear. Automobile tracts which connected Pamir with the railway and the entire country were built. 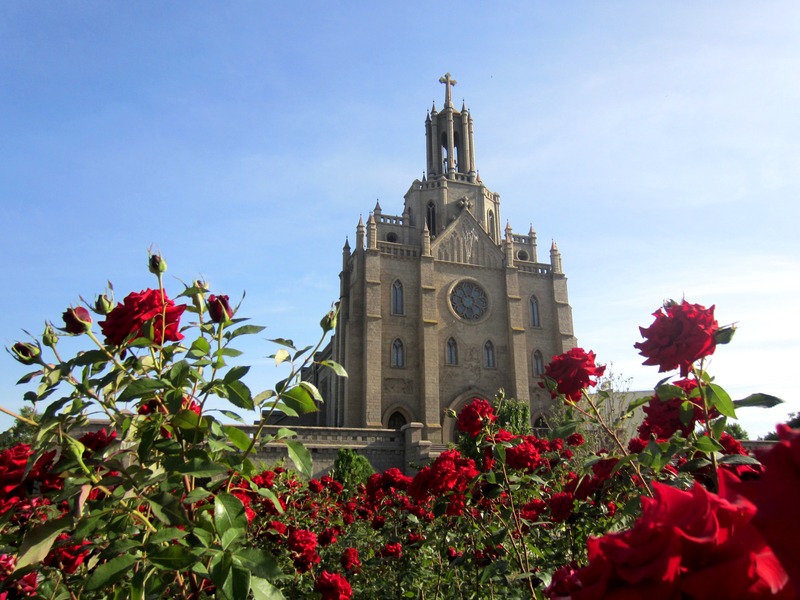 City tour: museum, botanic gardens, bazaar. Dinner. Overnight in hotel. Breakfast. Drive to Yamg. In the way excursion Garmchashma.It is situated on the right shore of the river Garmchashma and upper part of the valley settlement of Garmchashma district. It takes its beginning from lime rock there is the altar, connected with the origin of the source, and which is protected with wall and makes its way through earth and rocks, forming a pool. In the upper pool it reaches +600C, flows down on ledge cools of until +400C. The water of this source is effective for the treatment of skin disease, joint disease, rheumatism and radiculite. There are small mountain caves in the Eastern part of the source. The fortress of Kakh-Kakh and the sanctuary of Shohi Mardon.It is situated on the bank of the river Panj, on the isolated rocky height, stretched out along the river 1km east from the settlement of lower Namadgut. The length of the fortress from West to east is 675m, from South to North-220m. it is protected by double layers of walls, fortified with 56 towers of round shapes with loopholes. The foundation of walls and towers built from west to east protected by double layers of walls, with loopholes. The entrance to the fortress is from the west side. The foundation of walls and towers build from stones, the main part of walls-are composed from land blocks. The base of the fortress refer to cushion period of the 2 century before Christ as a defensive building the fortress served until 7 century according to the legends, the emperor of this fortress was the tsar of siyohpushon kakh-kakh. The fortress Yamchun and the Holy spring of Bibi Fotima - The fortress and spring are situated above the village of Yamchun, on a stony inclination, in gorge and the river Yamchun. The fortress consists of two grounds, The first takes the whole part of the cliff. The distance from north to south is 450m. The wall of the fortress is fortified with 22 rounds in towers with loopholes. The second ground, from south east side, tetragonal shape. (150*200). The fortress refers to Kushan period. It was built in 8-1 centuries Before Christ. Dinner and overnight in the guest house. Breakfast. Drive to Murgab via pass Khargushi (4344m above see level) to Murgab. Drive to Yashikul lake. Yashilkul means "green lake". It is situated 3,700m above sea level and is 19km long and 1 – 4 km wide, with a maximum depth of 50 m. The water temperature is never above 14°C. The water is fresh and pure; schools of fish swim in the shallow water, and sprouts of seaweed can be seen between stones through the clear deep water. 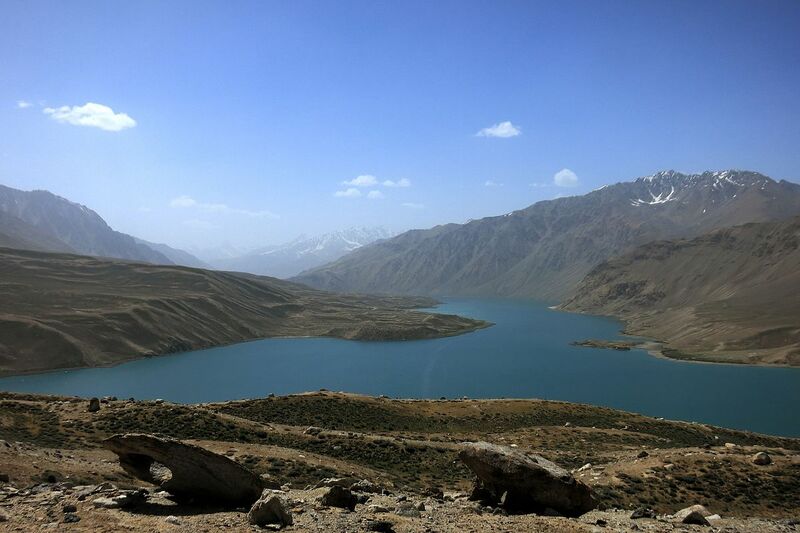 In the wilderness of the Pamir mountains, such places as Yashilkul Lake are very rare. The lake was formed as the result of a dam that blocked the Alichur River. Lunch in the Alichur village. Drive to Murgab. Murgab highest district in the Tajikistan, located in the 4314m above see level. Dinner and overnight in the guest house. Breakfast. 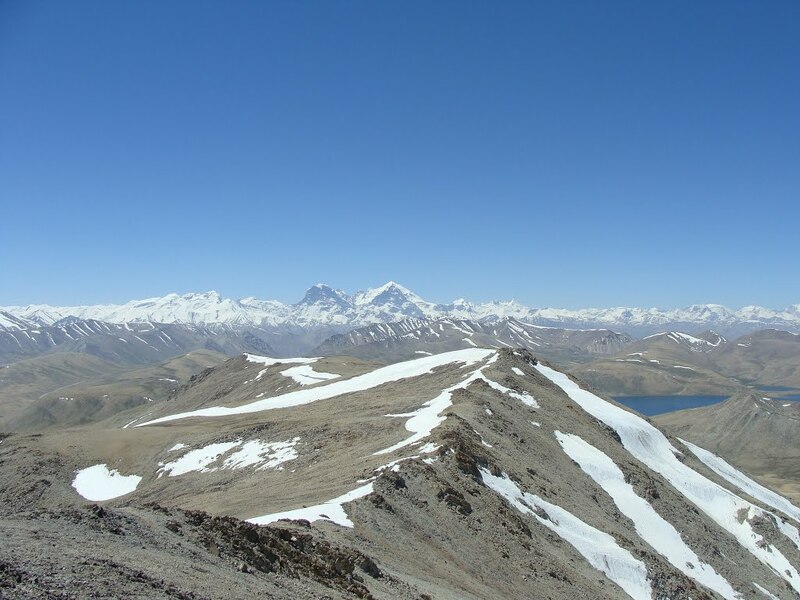 Drive to Karakul lake via highest pass in Central Asia “Ak-baytal” 4655m. 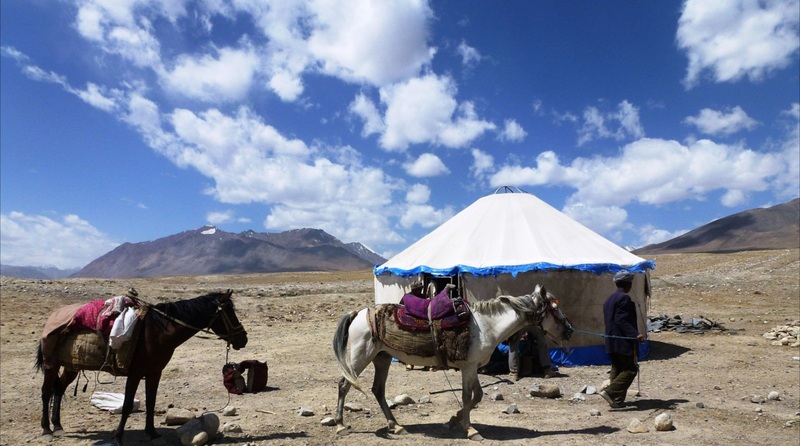 Walking and resting near Karakul lake. 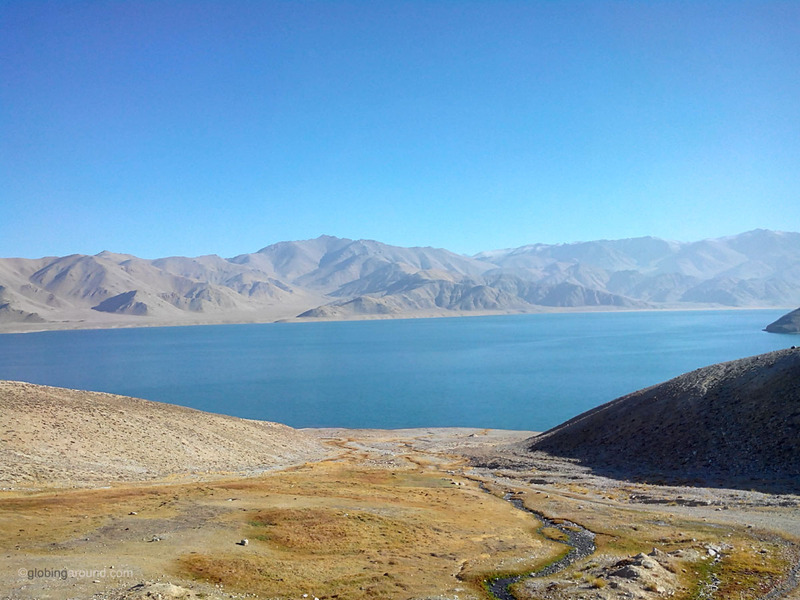 Karakul or Qaraqul ("Black Lake"), also formerly known as Lake Victoria, is a 52 km (32 mi) diameter lake in the Pamir Mountains in Tajikistan. It lies within the Tajik National Park. The lake lies at an altitude of 3,900 m (12,800 ft) above mean sea level. A peninsula projecting from the south shore and an island off the north shore divide the lake into two basins: a smaller, relatively shallow eastern one, between 13 to 19 m (43 to 62 ft) deep, and a larger western one, 221 to 230 m (725 to 750 ft) deep. It is endorheic (lacking a drainage outlet) and the water is brackish. There is a small village with the same name as the lake. Lunch. Drive back to Murgab. Dinner and overnight in the guest house. Breakfast. Drive to Jelondi. Rest in the hot spring. Overnight in in guest house. Breakfast. Drive to Kalai Khum. Overnight in guest house.